The single releases continue from UK singer James William’s debut album Lay Your Love On Me with “Crown You”. Already featured by the BBC, “Crown You” arrives just before a forthcoming summer EP from James. When he’s not knocking out audiences with his Olly Murs show overseas, James writes and performs songs like “Crown You”, which is perfectly suited for a key scene in one of those coming-of-age movies where the guy is batshit crazy over his gal and wants to treat her like a queen. To what extent will he go? Well I guess someone has to make the movie. But in the meantime listen to the chipper “Crown You” above and pick it up on iTunes. James William is from Brighton, England and he’s a seasoned vocalist who’s been nailing it around Europe in tribute to Olly Murs as Only Olly (check out his superlative rendition of “Troublemaker” below and see why). James’ debut album, Lay Your Love On Me, is currently available overseas and due here on October 6 on iTunes, featuring the bubbly title song which found its way to #8 last year on my personal chart. “Livin’ Out Loud” is a new song that will put you in a great mood if you need one of those pop antidotes that throws you right into a “me” moment and doesn’t let go. Like with “Lay Your Love On Me”, it’s no wonder that James’ songs have received attention from even the One Direction camp. Be sure to listen to “Livin’ Out Loud” and check out some of the other songs from his album on his Soundcloud page. BILLCS Top 30 #404 – May 6/13 – Mapping His Way to the Top Again! This edition of my personal chart is full of ups and downs with only a handful of songs staying static. The Top 10 got turned inside out, with James William’s “Lay Your Love On Me” and “The Way” by Ariana Grande & Mac Miller each advancing one position. They had to contend with the soon-to-be unstoppable force that is Travis Garland, whose stunning and direct blue-eyed soul ballad “Blue Electric Roses” is the fastest riser again, this time vaulting 18 to 6. And right behind is “Your Touch”, whose song and groove are embedded in my head now, courtesy of Blake Lewis, climbing 16-7. Then there’s also the irresistible dance fest that is “Outta My Mind” by young Dutch singer Matt Blue (video below), already advancing to #10 in its second appearance. Also on the rise and likely headed for the Top 10 are “Pompeii” by UK sensations Bastille, Semi-Precious Weapons’ “Aviation High”, “One Night” by current travelling man Matthew Koma, “Heart Attack” by Demi Lovato (loving the remixes, video and remix below), plus huge movers “Get Lucky” by Daft Punk (27-16), “This Is What It Feels Like” by Armin van Buuren & Trevor Guthrie (25-18) which has become a massive radio hit in Canada, and the thoughtful ode about being stuck in a “9 2 5” (28-20) world by the new R&B singer with the amazing voice, Jarell Perry. While “On My Way” by Charlie Brown and “Kiss My Lipstick Off” by Georgia Haege may seem stuck below #20, they will still likely move up in two weeks and attempt to hang around amid fierce competition, which includes three new entries, about which I’ve already written. I love how DJ/producers like Eli Escobar are re-inventing Disco in the NuDisco format, deep house music mixed with old school disco, techno and trance at times. His collaboration with Jessica 6’s Nomi Ruiz is a stunner, and “Somebody To Love Me” arrives at #23. It appears on Eli’s EP Feel It. Like Eli Escobar and Nomi Ruiz, the guys (Josh Ocean and Eric “Doc” Mendelsohn) who comprise NYC duo Ghost Beach seem to mesh the past with the present with ease. To think they were in town a couple of weeks ago, when I had just found out about the Penguin Prison remix of “Too Young”, which bows at #25. What makes this record are the vocals which remind me of late 70’s Joe Jackson meeting Justin Tranter of Semi-Precious Weapons about halfway. Listen below and pick up the remix as part of the duo’s EP Modern Tongues Remixed. Lastly, it’s been a big week for Aussie duo Parralox and rising US singer Ryan Adamés and their wonderful team. Parralox’s John Von Ahlen has unleashed an eye-popping animated lyric video (below) for their rendition of Noel’s seminal 1987 freestyle classic “Silent Morning”. And as I wrote about earlier in the week, Cherrytree Records prez and Interscope Records VP Martin Kierszenbaum, aka Cherry Cherry Boom Boom, remixed the song to give it a punchier alternate identity (also below). In either version, the song is a huge grower and I hope that dance clubs fawn all over it in the coming months. It debuts on my chart at #26. Most of the chart is in a tight lock, as often happens when a lot of new songs arrive, so there is minimal upward movement. Nonetheless The Presets’ “A.O.” grabs #7, and “My Girl” by Willy Moon (whose album Here’s Willy Moon is still not out in Canada) rises to #8. James William’s supremely catchy “Lay Your Love On Me” (sing it – wo-oh-oh-wo-oh-oh – below) becomes a Top 10 hit in its own right and it’s still available as a free download. “The Way” by Ariana Grande & Mac Miller is becoming a deservedly huge pop hit and climbs to #10. Songs by Matt & Kim, Semi-Precious Weapons, and Jerry Reid are still locked in below the Top 10, so there are bigger moves just below. You can find me jamming in my car to “Your Touch” by Blake Lewis pretty much every day, and the song jumps to #16. Matthew Koma’s glorious slice-of-life of “One Night” is right behind at #17. But it’s Travis Garland’s “Blue Electric Roses” (below) which is the fastest riser, moving 25-18. It’s a phenomenal song that gets better with each listen; the lyrics are pointed but thoughtful, and the vocals… well don’t get me started being overly partial to male R&B-sounding voices. Travis has it in spades with his recent EP Fashionably Late Part II which you must download from his website. Locked into the chart #20 and below are the bluesy jamming in “Right Back Home” by Lifehouse featuring Peter Frampton and Charles Jones (live clip below), Demi Lovato’s “Heart Attack”, “On My Way” by Charlie Brown, and “Kiss My Lipstick Off” by Georgia Haege. The newcomers to the chart are all pretty brilliant. Dutch singer Matt Blue has already had two chart appearances in 2011, first with a collaboration with Bass Robbers called “Another Dimension” (#8), and then with his own feelgood jam “Can’t Help Myself (Keep Dancing)”, which got to the top of the chart in November 2011. The singer has returned as featured in Kontor’s massive Top of the Clubs series, with his single “Outta My Mind”, which is now available on iTunes everywhere and makes a huge splash at #19. There is no end to how great summery feelgood songs can be if they are done right, and I am looking forward to a full album from Mr. Blue one day that will show off his big, big vocal range. Another Dutchman, Armin van Buuren, is back with a new album appropriately called Intense. I’m predicting incredible things to happen with the first single “This Is What It Feels Like”, which I wrote about last week, and it bows at #25. A major plus is the return of soulDecision singer Trevor Guthrie to the music scene, I just never expected it to be on a dance record. Wise choice – it’s a great song, and van Buuren has a 10 year pedigree for successful emotional dance pop. The big news of the last week was the official release of “Get Lucky” (at the top of the post), French duo Daft Punk’s return with vocalist Pharrell Williams (who sounds tremendous) in tow along with music legend Nile Rodgers providing his distinct, recognizable sound. “Get Lucky” starts out at #27 but will undoubtedly take off in the coming weeks. I think it could be not only one of the best pop and dance records of the year, but its celebratory vibe could bring back the happy disco sound of the late 70’s. Young people have never experienced the glorious days of disco, and I think considering so many recent tragedies that the impetus is there for a joyous update. The older disco haters have long gone… now is the time!! Lastly, it’s hard to cherry-pick songs from Jarell Perry’s debut free download album Simple Things. It’s ALL more than good and I will be a broken record about it over the next few months. I’m leaning heavily towards the day-in-a-snapshot as told in “9 2 5”, a big and emotional song which arrives at #28. Jarell Perry’s got way too much talent not to get a record deal, and if not, someone is missing out and he will succeed on his own terms. Listen for this fantastic singer. With travelling and illness being the order of March for me, I plan to write briefer and more frequent posts. When great new music stacks up, it just shouldn’t wait!! That having been said, there’s a new chart on deck brimming with all kinds of upward movement. Independently released music continues to score big time on my chart. Toronto’s Danny Voicu meets Montreal’s Victor Bongiovanni as Kwik Fiks & Bongiovanni for “Lifted” (ab0ve), a beautiful chilled out deep house take on Baby Bash’s 2003 hit “Suga Suga” that is also a free download. It reaches the summit this week, sending pals River Tiber to #2 with “The City”. Big dance music tunes “Clarity” by Zedd and Foxes, and “A World Apart” by Davis Redfield, remain at #3 and #4. Gentlemen Hall’s “Sail Into The Sun” (above) exploded into American Target commercials these past few weeks and moves up 8-5. When I was in Austin, just before I left to go to the airport on March 13, I was walking to the back of a local Target store and I could hear this familiar song singing out to me… you just kind of had to be there “Keep Me Crazy” is apparently the next single from Push Rewind for Chris Wallace, and it rises to #8. The only newbie to the Top 10 is the sensational “Map” by FrankMusik at #9, which looks like it’s Top 5 bound. Every song between #11 and #22 is on the way up, making the chart an interesting blend of multiple competitions! So we have Justin Timberlake scratching at the Top 10 with “Suit & Tie”, just ahead of more frenetic FrankMusik and The Presets with “Captain” and “A.O” respectively. 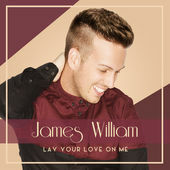 “Lay Your Love On Me” by UK singer James William (above) is a slick slice of pure pop available on iTunes if you like what you’ve been hearing by Chris Wallace or Matthew Koma. James also recently posted a well done original, “No Regrets”, which you can also hear above. The fastest riser on the chart is pop with a difference, and lots of style to boot. “My Girl by Willy Moon (above) moves 25-16, looking to join “Yeah Yeah” as his second Top 10 hit on my chart. Judging by one of his Austin shows two weeks ago, Willy delivers the goods in concert and leaves you wanting much more after a half hour set. “It’s Alright” by Matt & Kim glides into the Top 20, while I thought “Heaven” by Depeche Mode (also above) would be a lot further along by now, slow and steady is the pace with the release of Delta Machine this week. As I threatened two weeks ago, there has been a mini-house cleaning, resulting in five debuts. I’m loving the flow of “Aviation High” by Semi-Precious Weapons (above) in powerful anthemic love ballad style. It’s so different from their other songs and arrives at #21 as we await their new album and more tour dates. You can also find a beautiful recent cover by R&B singer Jarell Perry (who I will be writing more about 🙂 ), also above, available for free download. Detroit rocker Jerry Reid returns after 2011’s “Out Without Your Boyfriend”, which got to #3 as a part of the Ballroom Remixed compliation. An equally striking new song, “Tell The Night”, bows at #22. The only place you can hear an excerpt of it is on Amazon at this time. The song is also noteworthy for featuring background screaming by P.J. Soles of “Rock & Roll High School” movie fame. Down further at #26 is everything that a bluesy/jazzy R&B-infused rock song should be. It’s an album track by Lifehouse from Almeria called “Right Back Home” which features none other than 70s hit maker Peter Frampton (who I saw in concert – and got drenched during a storm – back in 1981) alongside blues singer Charles Jones. Combined with Jason Wade’s vocal and a melody that brims along, and Lifehouse delivers a southern piece of good time honky tonk. And who expected this? At #28 is UK sensations Bastille with “Pompeii” from their new album Bad Blood, which hasn’t yet seen release around other parts of the world like North America. I felt bad when I had to miss their 1:00 a.m. Austin set due to illness. But “Pompeii” is more greatness in a small package, and you can get it on iTunes on the Remixes EP, featuring reduxes by the likes of Monsieur Adi and Kat Krazy (this remix is below). 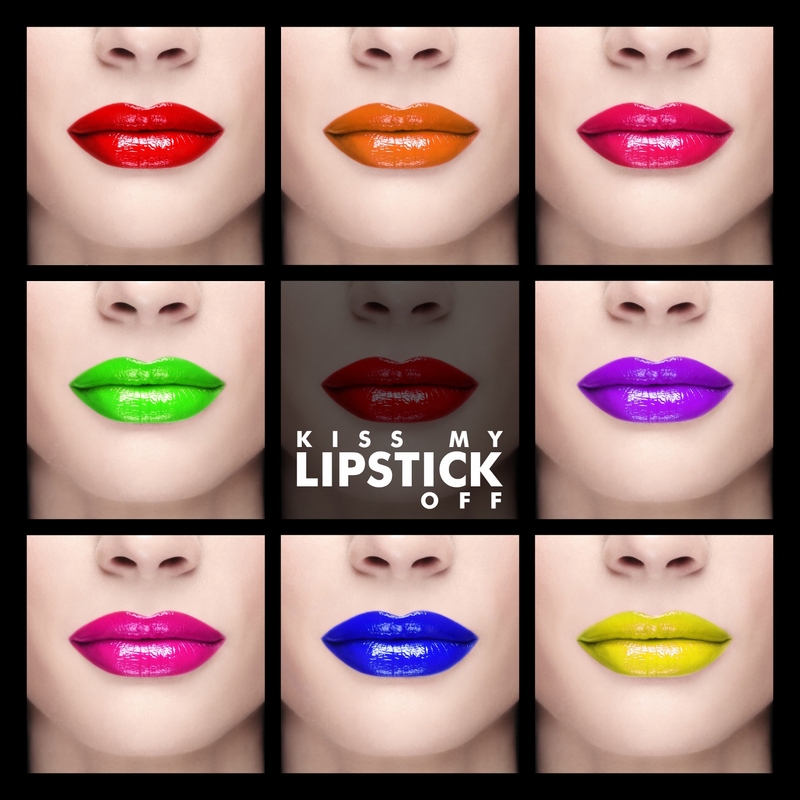 Premiering at #30 is “Kiss My Lipstick Off”, the bubbly and naughty song by Liquid Diet’s Georgia Haege (you will remember last year’s memorable “Hand Dance” by Liquid Diet) from the equally bubbly and naughty compilation of the same name. 15 years and 2 months later, and my bi-weekly online chart is at edition 400 🙂 Because I’m not home though, it’s a no frills edition. I will have to double check when I get home, but I believe the last time two songs by Canadians held the top two spots on my chart was last Spring, when I believe River Tiber’s “Someday” and “Symmetry” were the Top 2 at one point. Before that, I’m not sure when it happened last, or when the performers were different. In this case “The City” by River Tiber is on top for a second appearance, and it’s joined at the summit by Kwik Fiks & Bongiovanni, whose deep house rendition of “Suga Suga” by Baby Bash moves to #2, and looks to succeed River Tiber in two weeks. Listen to both below. Zedd & Foxes hold at #3 with the propulsive “Clarity”, while another song brimming with energy, “A World Apart” by Davis Redfield, advances to #4. It’s all about the action in the lower half of the Top 10. The Wallflowers, featuring Mick Jones in what is clearly a song inspired by The Clash’s “This Is Radio Clash”, move up to #6 with the funky “Reboot The Mission” (watch the video below). The rest of the songs within the Top 10 are new to the top end of the chart. Lawson’s memorable “Learn To Love Again” climbs to #7, while Gentlemen Hall move up quickly to #8 with “Sail Into The Sun”. Talented UK teen Conor Maynard’s “Turn Around” (featuring Ne-Yo) glides to #9, while “Keep Me Crazy” by Chris Wallace (live performance from the Jimmy Kimmel show) inches up to #10 to make it 3 Top Tenners for 3 for Chris, following #1 “Remember When (Push Rewind)” and #3 “Time Bomb (Walk Away)”. Chris is getting around the USA to promote the long-lasting “Remember When” and his album. Justin Timberlake, who is everywhere, seems to be leading a classy softer style that is appealing to the younger crowd as they see him perform on shows like Saturday Night Live. “Suit & Tie” climbs to #13; I’m anxious to hear what else is in store on The 20/20 Experience. Songs 16 through 22 are looking to bounce higher on the chart in two weeks. “Reverie” by River Tiber is looking to take advantage of songs moving down. Then we have the stunning and futuristic “A.O.” by Australian duo The Presets, AVAN LAVA’s finger-snapper “It’s Never Over”, the breezy-sounding “Carried Away” by Passion Pit (video below), classic Top 40 pop in the form of “Lay Your Love On Me” by UK singer James William (listen below), and in advance of their album Delta Machine, “Heaven” by Depeche Mode. There’s a line up of songs waiting to land on the chart, and sometimes it makes me want to change it to a Top 40, but then I get talked out of that. So for now, two songs I wrote about recently make their debuts. Willy Moon is playing in Austin this week, and I hope to catch his show tomorrow night if I can get in. His stylish video for “My Girl” below helps the song debut at #25. Ever wonder what rock stars do in bed? The fun video for “It’s Alright” by Matt & Kim might answer a few questions below. It debuts at #26. Toronto group River Tiber score their second #1 on my chart with “The City”, which displaces Matthew Koma’s “1998” to #2 after Matthew’s 5 chart (10 week) lock on #1 with that song and “Parachute”. River Tiber keep getting more great local gigs in Toronto, at The Drake Hotel again (where they scored majorly on January 3) and tomorrow night at The Horseshoe Tavern. They’ll also be playing The Annex Live on March 23 during Canadian Music Fest (I’ll remind you again about that). Tommy Paxton-Beesley recently dropped a new River Tiber video for another song from their album Synapses (still available as a free download), this time for “The Star Falls”. Watch below. Scoring another #1 Dance Club Play hit again is Zedd with British singer Foxes on “Clarity”, which moves up to #3. Another killer dance track that the rest of the world hasn’t really got to know yet is “A World Apart” by DJ/producer Davis Redfield, which climbs to #5. Sandwiched in-between is one of the coolest club tracks you will hear that I can’t stop talking about. With a deep house rework of Baby Bash’s “Suga Suga”, Canadians Kwik Fiks & Bongiovanni climb 24-4 with “Lifted”. Download it for free and give a listen below. The Wallflowers’ “Reboot The Mission” climbs to #8, becoming their first Top Tenner here since I began the chart in 1998. However “One Headlight” was my #1 song of 1997 so I’m well acquainted with the diverse styles of Jakob Dylan and his band. I’m particularly impressed by the production and vocal arrangement on this song. The song seems to be everywhere now (including “Glee”), but “Let Me Love You” by Ne-Yo rises to #9. Those Lawson lads managed another Top 20 placing in the UK with “Learn To Love Again”, arguably their best song to date. It climbs to #11 on the chart. Alas, no North American release in sight yet… Another huge mover on the chart is “Sail Into The Sun” by Gentlemen Hall, up 25-15 – a song you won’t be able to escape for the months to come thanks to impressive inclusion in a Samsung smart camera commercial. Hopefully this exposure will hasten the release of a new album. Great songs to be heard! Listen below and get it for free from the band’s website when you tweet about it. Other songs still on the rise include those by Mika (and I got a ticket for his April 5 show here 🙂 ), Justin Timberlake & Jay-Z, River Tiber (“Reverie”), The Presets, Passion Pit (“Carried Away”, video below), AVAN LAVA, and Depeche Mode. I’ve already written about our new arrivals recently. “Lay Your Love On Me” by UK singer James William is just darn near impossible to get out of your head with its crisp pop sound that may have more of an American bent than a British one. The song debuts at #28. You can get it for free through Tweet For A Track and you can hear it below. The other two debuts both belong to FrankMusik. You can read all about my musings on his EP Far From Over with its nifty Brink Magazine spread to great effect. First single “Map” bows at #19 and the rollicking “Captain” is sharp on deck at #24. 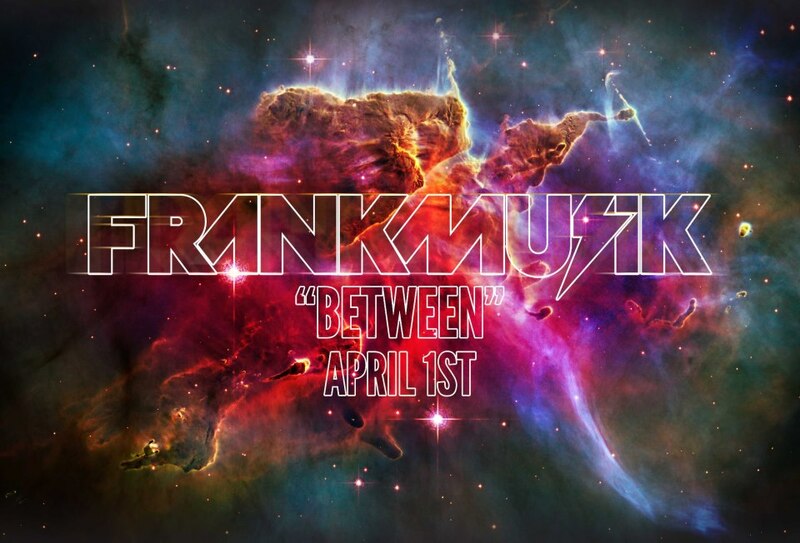 Hear both songs below and download them for free from FrankMusik’s website.